Today is the Virgin of Guadalupe’s day. 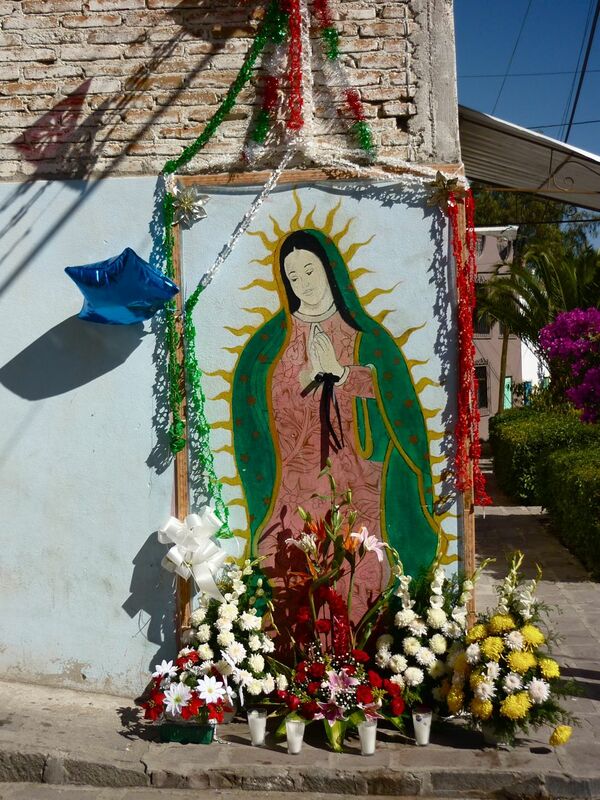 Last night, two streets down, our neighbors held the last novena for the Guadalupe and sang songs to her from 7PM until… well, they are still singing. 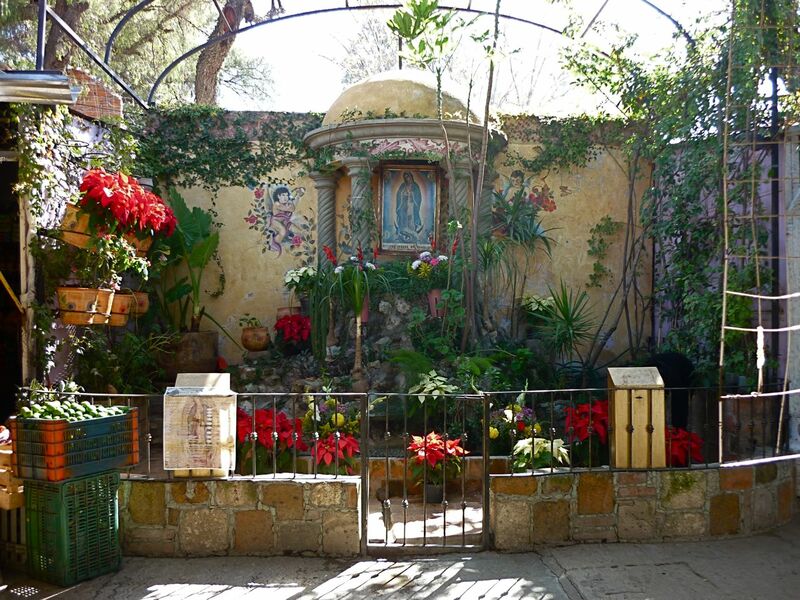 I awoke several times during the night to the songs La Guadalupana, Paloma Blanca and las Mananitas. At six the rockets and fireworks took over and from the terraza you could see sparks of light and smoke and listen to some of the songs from last year’s videos below. Virgin of Guadalupe Day 2010 from Suzanne da Rosa on Vimeo. Today’s post is yet to be completed, but here’s what’s been happening the last few weeks. Further down, there’s a Virgin painted on a wall. Wednesday she looked like this, and later I’ll have a photo os what she looks like today. 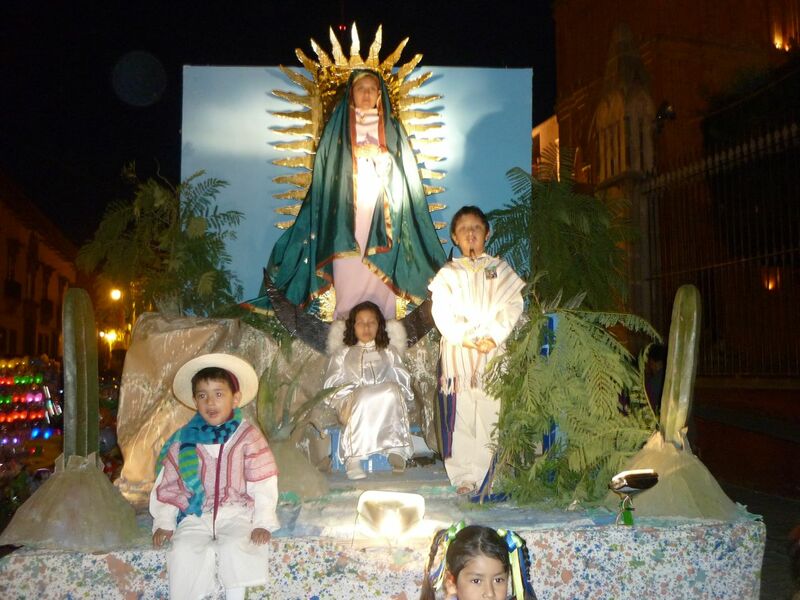 Throughout the week there have been live enactments by children in centro. In our own neighborhood, two blocks down, there have been novenas and singing every night. 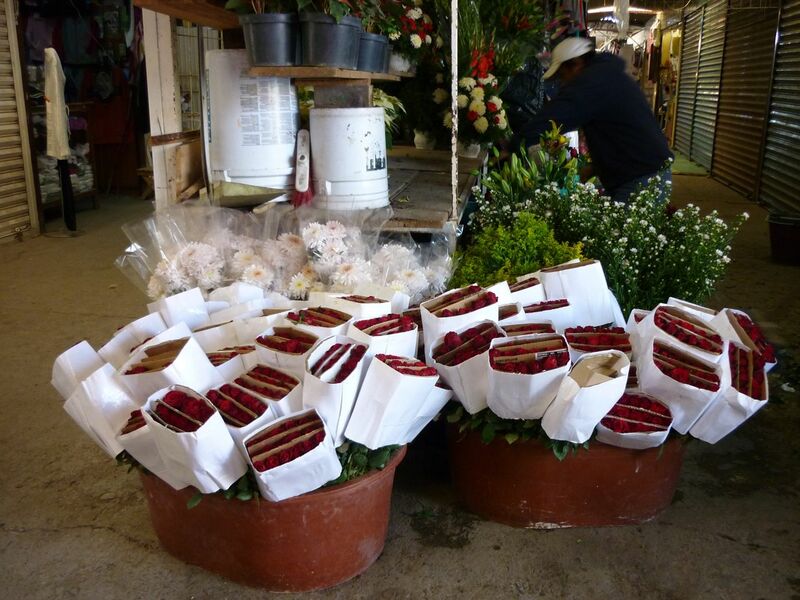 Yesterday, most of the altars were still undecorated except for a few red pointsettas, candles and pots of flowers. 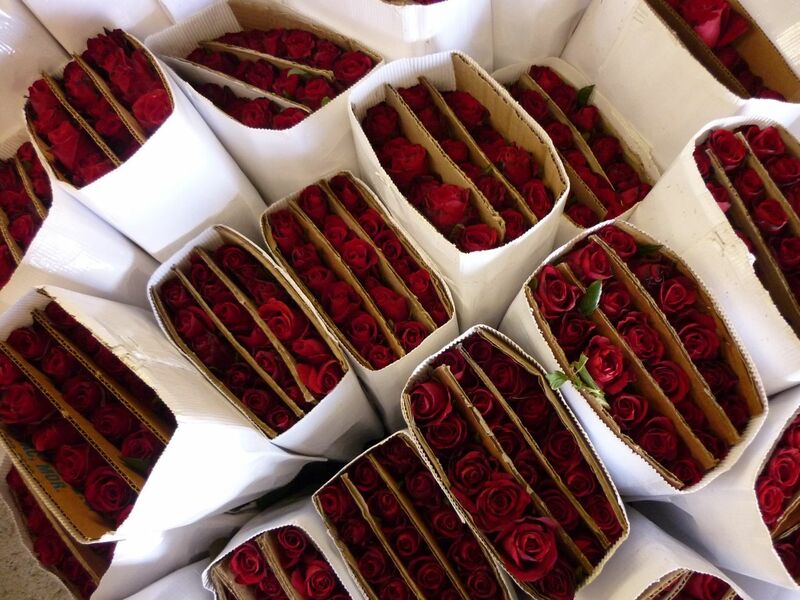 and the flower stalls are geared up for the major altar building that will be completed today. Every public and private altar will be decorated, every mariachi and singer in town will be visiting the altars to pay homage. Thanks for the bedrock information and the good graces in assembling all the good SMA pieces onto one interesting blog.